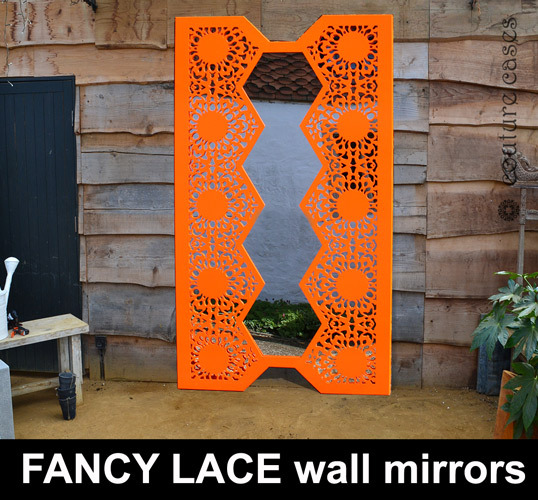 Beautiful laser cut metal wall mirrors in lots of amazing designs for interior and exterior use. Perfect for gardens, contemporary garden spaces, modern backyards, conservatories and arbors, our custom made mirrors are constructed in rust free aluminium and available in any RAL colour to compliment or contrast with their surroundings. 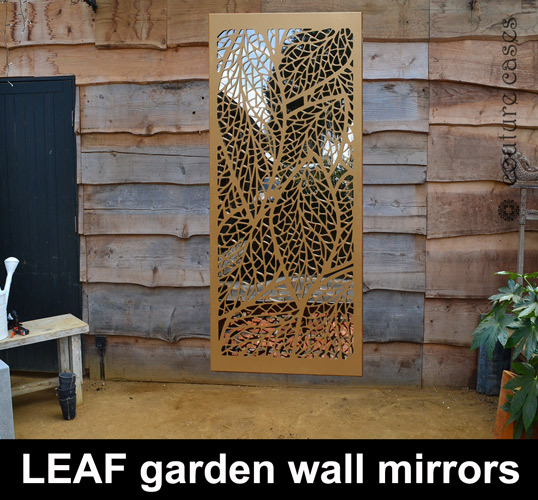 Transform your garden with our bespoke contemporary garden mirrors. We make every mirror to size, and with unlimited colour options you really can create the feeling on larger spaces in even the smallest garden environments and settings. 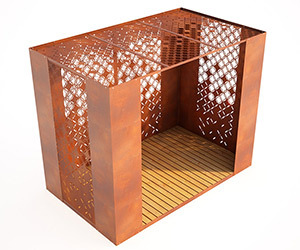 Available in 100s of design styles, simply choose a pattern style that suits your outdoor or backyard space, send us some dimensions, and we will do the rest. We work closely with every customer to exact all our garden mirrors are perfect every time. Send us a short message and we will get back to you straight away.